OUR PRICE WITH 3.5hp ENGINE £999.99! Superb value light-weight family runabout for those who want to be seen! – Chuck it in the boot of the car, or into the caravan to make trips near the water much more exciting. The boat easily rolls away to the size of a large suitcase approx 116 x 61 x 32cm (carry bag included). 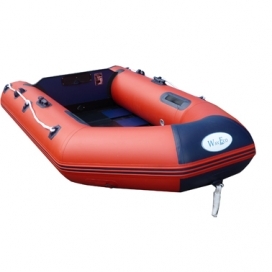 2.5 metre boat (8’ 2”) – Carries up to 3 adults & 1 child (up to 486kg inc. engine). Will take up to 5hp engine. Takes around 5-6 mins to inflate (foot-pump included – don’t bother with electric pumps, much slower and usually don’t inflate to the right pressure). About 5 mins to deflate and put back in bag. 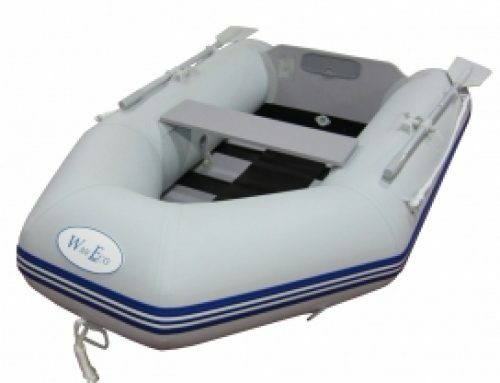 We do not do mail order of inflatable boats and outboard engines – we offer a local service only. All the above are offered subject to stock availability. Where possible we try to display an example of all the boats we carry in stock at our showroom.